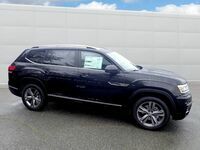 Are you searching for a new mid-size SUV that offers tremendous engine performance and a spacious interior? If so, then you have many excellent options to explore in the Walnut Creek, CA area. 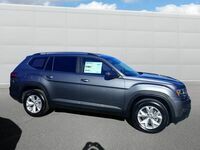 Two of the very best options available to customers for the 2019 model year are the 2019 Volkswagen Atlas and the 2019 Ford Explorer. 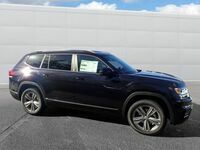 Which of these two SUVs is the better option? If you want to answer the question above, then you will need to compare these two vehicles against one another. 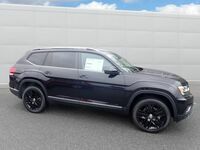 Both the 2019 Volkswagen Atlas and the 2019 Ford Explorer feature multiple engine options that offer tremendous performance. Additionally, both vehicles feature a spacious interior as well. 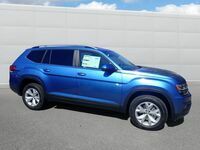 Now, let’s take a closer look at how the 2019 Volkswagen Atlas matches up against the 2019 Ford Explorer together! The table shown above highlights the key engine specifications for the Primary Engine option of the 2019 Volkswagen Atlas and the 2019 Ford Explorer. As you can see, both of these SUVs feature excellent engine performance. The 2019 Ford Explorer offers slightly better engine power, while the 2019 Volkswagen Atlas offers slightly better engine torque. Both vehicle’s primary engines offer the same city and highway fuel economy. The table below compares the interior volume each SUV offers. The 2019 Atlas has the advantage in maximum cargo capacity and EPA interior volume, while the 2019 Explorer has a slight advantage in standard cargo capacity. 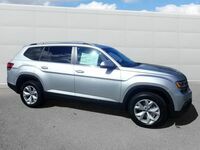 Overall, it is clear that the 2019 Volkswagen Atlas is the better option for customers who need a little extra interior space. 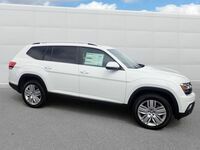 If you are interested in exploring the 2019 Volkswagen Atlas for yourself, then you should contact the staff at Dirito Brothers Volkswagen in Walnut Creek, CA today!